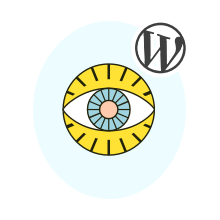 Home / Blog / News / WordPress 5.2 Update: What Will It Bring? Fatal errors are those which interfere a usual WordPress administrator`s workflow and do not allow to access the admin dashboard. Previously there was only one way to deal with such kind of errors: access your website`s FTP and try to fix the problem with it. This method is however too difficult for the most part of WordPress administrators and they needed to contact their hosting support for help. From 5.2 update the situation will change for better. WordPress 5.2 includes a new algorithm for fatal errors. If you receive a message about a fatal error while logging in your WordPress website`s dashboard, you will also receive an automated email to the mailbox connected with the admin`s account. This email will contain a special link towards which you can enter your WordPress website`s dashboard in spite of fatal error. You would be able to undo recent changes to your website`s core files or code, preventing the appearance of the fatal error. Have you already got used to Gutenberg block editor? WordPress tries to improve the new tech presented with this editor and devotes lots of effort to make it better with every update. The 5.2 update will not be an exception. Lots of useful and interesting features are waiting to be implemented within the new block editor. Although Gutenberg is way faster than its predecessor, there is still a lot of work on optimization to be done. WordPress 5.2 brings the optimization of work speed for block editor while dealing with big amount of blocks and heavy load on them. Improved editor is 35% faster compared with the initial version presented with WordPress 5.0 update. Moreover, the typing speed inside the blocks will be significantly improved. It means that the delay between letter`s typing and its appearance in the screen will be reduced for the sake of comfort of WordPress administrators and authors. WordPress always tries to be as much accessible for users with different level of web development skills as it is possible. Th new update makes small but important changes to Gutenberg editor`s accessibility. For example, the new version of editor will support reduced motion settings for your browser, which influences the editor`s performance. Post URL slug has been labeled with help text which makes it easier to locate and understand. Another important accessibility feature was not ignored too: speak messages have been improved and extended. RSS block — gives an opportunity to add and customize any kind of RSS feed within your WordPress posts and pages. Amazon Kindle embed block — brings you the possibility to embed content straightly from Amazon Kindle. Search block — allows you to add the default WordPress search bar with all supported features directly inside your content. Calendar block — you can now display a calendar of your blog posts and allow users to choose a date to view published posts on the demanded day. Tag Cloud block — brings the tag cloud just inside your post and pages, wherever you like it. Block Manager Tool is a brand new update to Gutenberg editor which allows you to customize the block editor for your own creative style. Block Manager Tool gives you an opportunity to choose which blocks you will see inside the editor and which ones will be hidden from your sight. This feature brings you more comfortable workflow with just the blocks you really use and does not disturb you with the stuff you would not like to see at all. This tool is also very useful for WordPress administrators who like to download new blocks with plugins but then realize that they do not need them so often. WordPress tends to support as many websites as it possibly can be done. However, there is an important issue connected with the PHP version of your website. The older version of PHP you run on your website, the more dangerous it is for the security of your website`s data. That is why WordPress 5.2 will work only with PHP versions of 5.6 or later. The newest PHP version today is 7.3.2. As you can see, WordPress still tries not to disturb users with relatively safe PHP versions. But there is no doubt that the further versions of WordPress will raise the bar of possible PHP version correspondingly.